Just when you think FLOTUS can’t get any cooler, she ups her fab factor. In addition to giving the Oscar selfie some major competition (take that Internet!) Michelle Obama created a summit to help kids better transition into college. 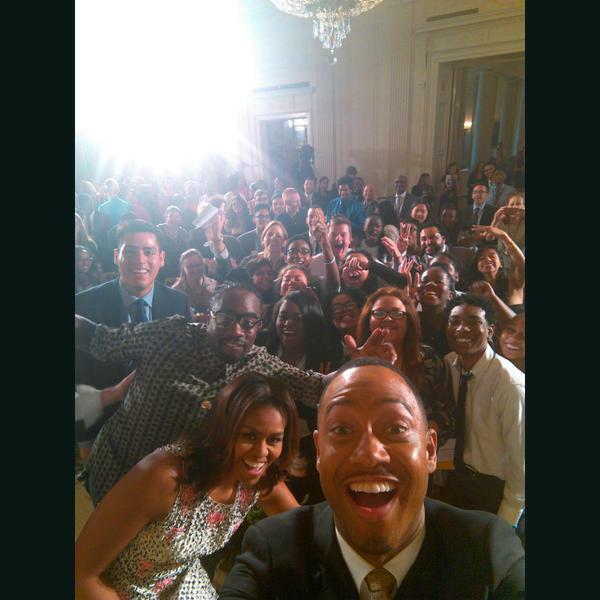 The “Beating the Odds” summit invited 130 soon-to-be college frosh to the White House. All from different walks of life, but one common denominator is they all struggled to make it into college, which means they’ll likely have more difficulty staying. Cue Michelle Obama’s Reach Higher Initiative that gives first gen college students–like herself and POTUS–the support and tools they need to make it through all four years. Before Wale hopped on the stage to perform, POTUS Barack Obama introduced him and made this confession. My rapping skills are terrible. That’s one thing I can’t do is rap. I like rap but I cannot rap. But he had to do something right to pull Michelle, he added. I got enough of a rap that I got Michelle to marry me. Bloop. Yes, you did Mr. Prez.